recommend making a double batch and freezing half for later; it will be even more incredible the second time around. Enjoy! 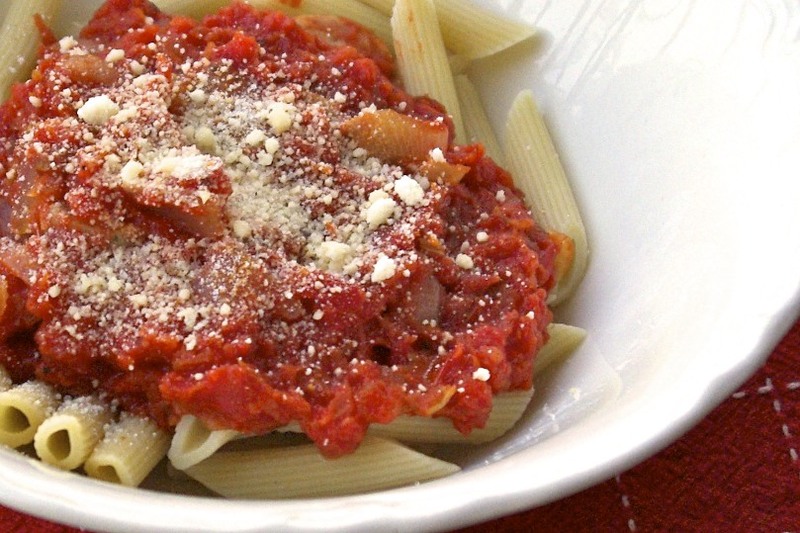 Do you have a favorite “go-to” marinara sauce recipe? Let me know below! pepper. Continue sautéing until all vegetables are soft. Add tomatoes and bay leaf. I don't have my own sauce recipe, but I'd really like to learn to make my own sauce from fresh tomatoes. I need cans first for canning… and a place to put them.